We are regret to inform you that Pedsters Planet website has closed. This decision has not been taken lightly, however, since we closed our web directory a while ago, the site wasn't really being used. May I thank everybody that has made the site a success since 2002. Feel free to visit my other projects below. UK web hosting hosting from Laws Web Hosting. A range of affordable shared web hosting starting from £1.99. 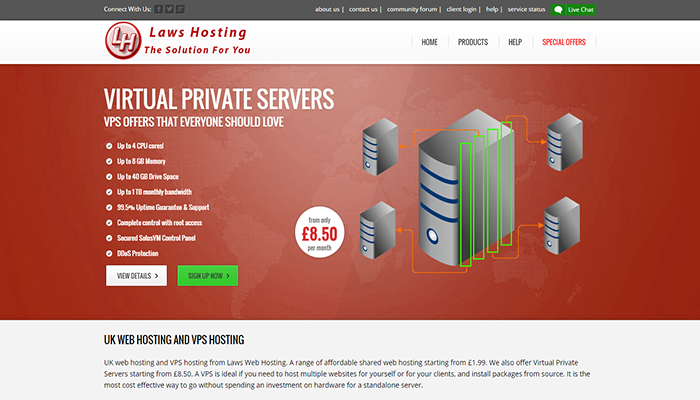 We also offer Virtual Private Servers starting from £5.50. A VPS is ideal if you need to host multiple websites for yourself or for your clients, and install packages from source. It is the most cost effective way to go without spending an investment on hardware for a standalone server.